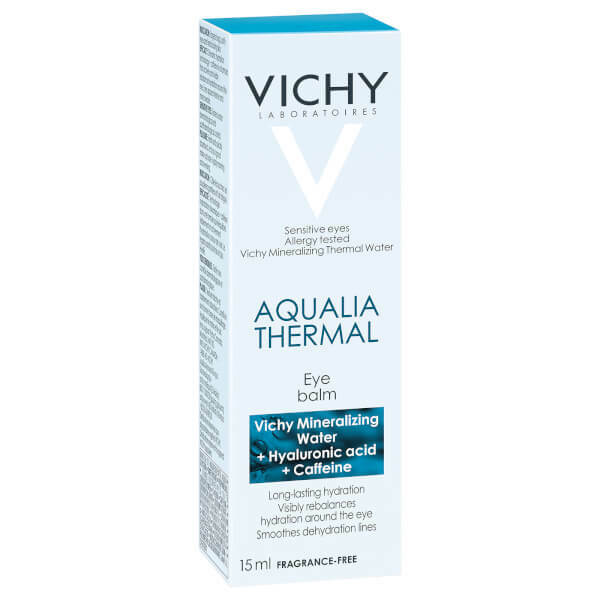 Appear bright eyed with the Vichy Aqualia Thermal Eye Awakening Balm, a quick, absorbing, hydrating formula that works to brighten and replenish lost moisture around the delicate eye area. Skin around the eye is fine and sensitive; because of this, it is prone to looking dry, tired and dull. Working in synergy to rehydrate and refresh its appearance, the eye cream combines an association of sugars, including: hyaluronic acid, aquabioryl and caffeine to promote hydration and restore optimum moisture where you need it most. 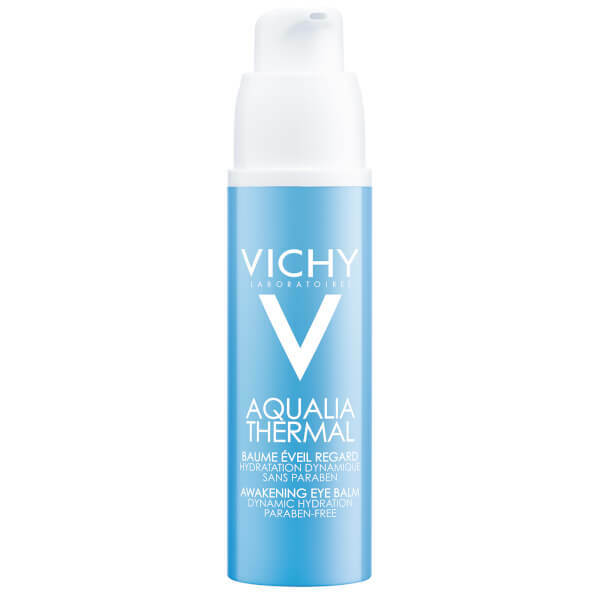 Enriched with Vichy Thermal Spa Water, the eye treatment delivers long lasting hydration whilst smoothing the appearance of dehydration lines. Velvety in texture with a non-sticky, non-shiny finish. - K.N. Ideal for dehydrated, sensitive skin. Tested under dermatological and opthalmological control. Suitable for sensitive eyes. Free from parabens and perfume. Apply using gentle massage motions under the eye contour and over the eyelid. Aqua, Glycerin, Dimethicone, Propanediol, Dimethicone/Peg-10/15 Crosspolymer, Ci 42090, Caffeine, Sodium Chloride, Sodium Citrate, Sodium Hyaluronate, Sodium Hydroxide, Phenoxyethanol, P-Anisic Acid, Chondrus Crispus (Carrageenan), Disodium Edta, Citric Acid B Iosaccha R Ide Gum-1 and Polymethylsilsesquioxane. Code F.I.L C167205/1.